Franklin city administrator points to better use of HOV lanes and ride sharing technology as ways to address traffic congestion. 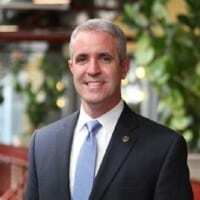 Stuckey recognizes that building more roads and adding mass transit won’t be enough to keep traffic at a manageable level in Franklin and the rest of Williamson County. At the moment, the average daily traffic on I-65 in Williamson County is 148,800 cars per day, “..but it’s going to be 156,000 at some point,” he notes. According to Stuckey, one part of the solution is making better use of I-65’s HOV lanes. That might be happening now, given the fact that the Tennessee Highway Patrol wrote three times more HOV tickets in 2017 as they did in the previous three years combined. At the same time, Colorado State Police, with a fraction of the HOV lane capacity (33 miles total compared to Tennessee at 141 miles) writes ten times the number of tickets per mile. Average speeds for a bus between Boulder and Denver on Highway 36 are more than 55 miles per hour, and transit speed for all commuters has improved overall, even as traffic volume has increased. This success is credited to implementation of bus rapid transit, HOV lane enforcement that creates an incentive for carpooling and automated toll charges that are paid by people willing to pay for the privilege of using their HOV lane. Of course, Denver isn’t the only city that is having success with HOV lanes. Nashville could learn a few lessons from Seattle-Tacoma, which has made a concerted effort to educate drivers about the benefits of HOV lanes and strictly enforces HOV laws and regulations. In Washington State there are much stiffer penalties for violations—up to $136 per infraction, as compared to $50 in Tennessee. Stuckey is also a firm believer that reducing traffic congestion doesn’t necessarily require big investments in infrastructure. “We can’t put asphalt down fast enough, but there’s stuff that people can do individually that they can control,” he says, like making more of an effort to carpool, which takes cars off the road, reduces traffic, and reduces harmful emissions.  Fortunately for Nashville residents, there’s a new app available from, Hytch, which pays cash to drivers and passengers alike when they share rides. Automotive giant and Williamson County citizen Nissan, recognizing innovation that excites - is sponsoring the entire state of Tennessee. Nissan pays commuters five cents ($.05) per mile for using Hytch to track shared rides in any Power of 10 county in Middle Tennessee. One example of how rewards may vary, H.G. Hill is throw in an additional five cents per mile for carpooling to Maryland Farms in Brentwood while Franklin Synergy Bank contributes an additional penny per mile as a sponsor of Williamson, Rutherford, and Davidson counties. If your company has sustainability goals, parking problems or you just love innovative technologies aimed at solving traffic problems, share these creative sponsorship strategies. If you’re a commuter, and don’t want to turn down some extra cash download the free app..
Inviting friends, neighbors and co-workers to share a ride is easy when you all get paid for it. Thanks for doing your part to reduce traffic and air pollution in the greater Nashville region!